Subscribe to our quarterly newsletter by filling out the form here (noting in the message you want to subscribe) or by sending a blank message to: ARTSPHERE-ANNOUNCE-L-subscribe-request@lists.psu.edu and you will receive instructions to confirm your subscription. 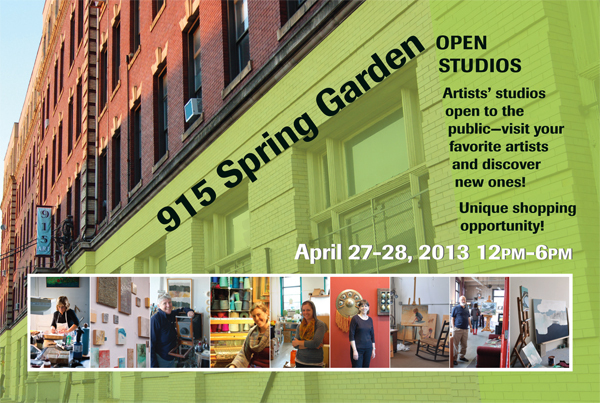 The spring Open Studio Tours Art Sphere, Inc. Fundraiser is coming and we want you to join us! On Saturday, April 27 and Sunday, April 28 from Noon to 6 p.m., 915 Spring Garden Studios (915 Spring Garden Street) will open its doors to the public for one of three open houses of the year. Hand-made books, jewelry, ceramics, and more… collect for a cause by supporting Art Sphere, Inc., using arts education to change lives. The Lemon Street Cleanup at St. Paul’s Church Recreation Center on April 6 was a huge success! Benches andplayground equipment with graffiti were cleaned up and painted and 19 bags of trash and one monster truck tire were removed from the site. And we were delighted to learn the stage we painted was where the legendary Rat Pack artist Sammy Davis, Jr. once performed! Maybe one day our efforts will result in bringing world-famous artists back to this very stage. The 7th Annual Philly Spring Cleanup at Fishtown Recreation Center on Saturday, April 13 was a huge success! Over 35 volunteers removed 16 bags of trash and painted over picnic benches and playground equipment that were covered with graffiti. Now the space is ready to host birthday parties and other special events, including preparations for the playground and recreation center to host summer camp! As one artist painted “All you need is love” on surfaces – the more love you spread, the more mistreatment and neglect you prevent. To our volunteers — thank you for choosing to give back through Art Sphere, Inc. – you’ve helped make a significant difference by maintaining the vital neighborhood resources of recreation centers and playgrounds serving Philadelphia youth. 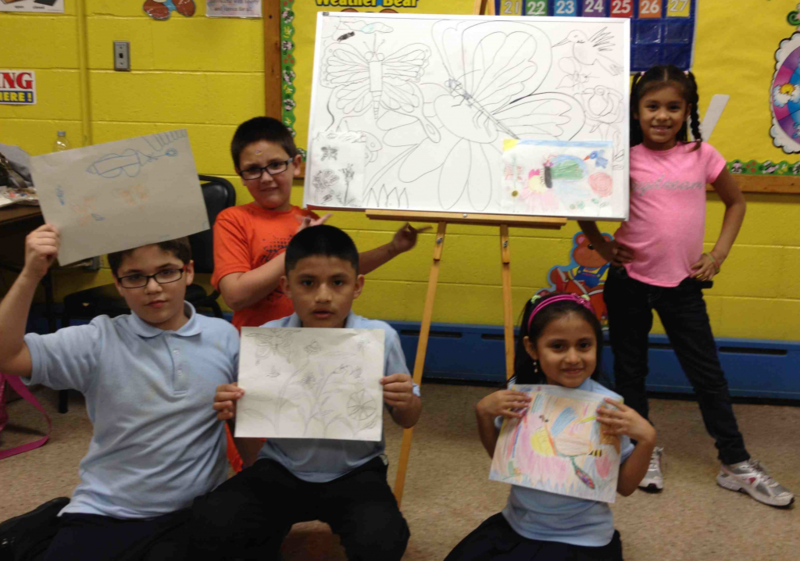 It’s not just beautifying public spaces, but changing lives through art. Thursday, May 2nd – Planter Painting Project 12:15-2:15 with buidOn and students at Furness High school: Use stencils and mural paint to decorate planters and promote message or gardening here in the city. Saturday, June 1 -Books of Hope Project 10-2 with buidOn and Treks of Knowledge students at Furness High school: Use watercolors, inks and other bookmaking materials to create alphabet books for High School students to give to youth in Nicaragua. We’ll keep you posted on upcoming events and how you can get involved…especially as the weather gets warmer. Visit the http://artsphere.org/ and Facebook for the latest updates and information. The 915 Studio Building, at the corner of Percy St. (near 9th St.) and Spring Garden St., contains about 100 studios on its five floors for a wide range of artists, including painters, photographers, jewelers, sculptors, weavers and graphic designers. Recent additions include artists who work in wax, metal and electronics. © 2019 All Rights Reserved, Art Sphere Inc., material and works of authorship are subject to license.